Skin care has become an integral part of every girl’s beauty routine and that is obviously because every girl wants to put forward her best face, quite literally! When it comes to skin care cleansing toning moisturizing is a daily routine but another important step in exfoliation and we include face scrubs for that in our beauty regime. 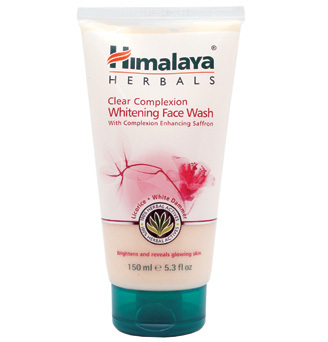 This scrub from Himalaya helps to exfoliate the dead skin cells gently. It helps to regulate the melanin synthesis and removes the impurities clogged in the pores. 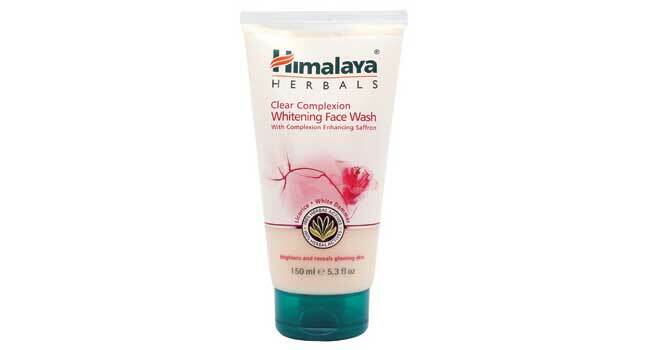 It also contributes towards clearing the spots and improving the complexion. 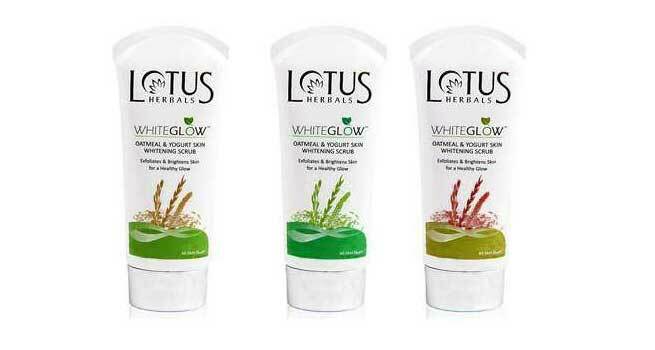 Lotus Herbals Whiteglow Oatmeal & Yogurt Skin Whitening Scrub is excellent in cleansing the skin, smoothing and brightening the skin tone. It has anti aging properties and maintains the moisture in the skin and also reduces the wrinkles & fine lines. It is good for both men and women. 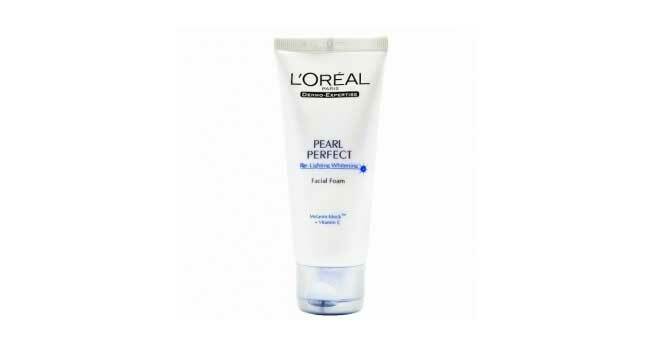 L’Oreal Paris Dermo Expertise Pearl Perfect Re-lighting Whitening Scrub from L’Oreal is best when it comes to removing skin impurities and dead skin. It unclogs the pores and makes the skin soft, refreshed as well as smooth. It is suitable for all skin types and is ideal for both men and women. 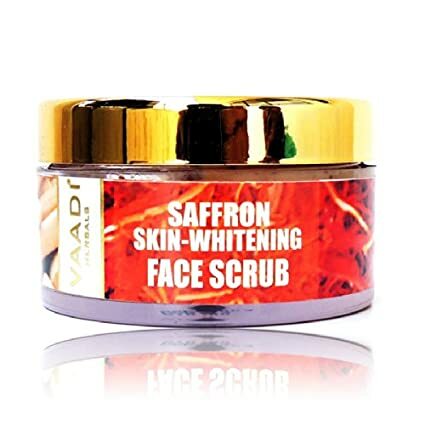 Vaadi Saffron Skin-whitening Face Scrub from Vaadi is known to effectively scrub the skin and remove dead cells off the skin completely. It protects the skin from sun damage, hydrates and moisturizes the skin. It is loaded with antibacterial properties too. It is good in treating acne & pimples. Vaadi Papaya Fairness Scrub Gel with Honey & Saffron is especially for smooth as well as flawless complexion. It is very effective in removing the tan and also helps in achieving bright complexion. It promotes the regrowth of the cell and is great for both men and women. Everyuth Naturals Radiant Fairness Strawberry Scrub is known to provide clear as well as radiant fairness to the skin. It is loaded with nano Ceramide, micro granules and apricot extract. It gently scrubs off the dead skin cells as well as the impurities. It provides nourishment to the skin and leaves the skin soft, smooth and clean. 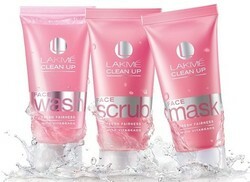 Lakme Clean Up Fresh Fairness Face Scrub unclogs the pore, removes blackheads and other deep rooted impurities. It comprises of microcrystalline wax white beads. It also lends skin a cooling sensation which is from Menthol. It hydrates as well as nourishes the skin. It is enriched with 100% natural exfoliants. 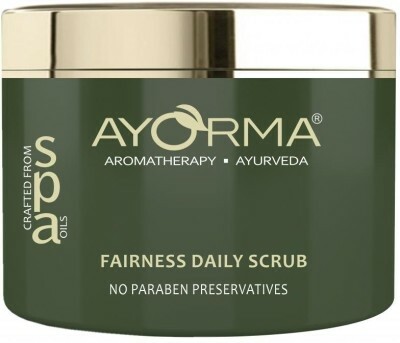 Ayorma Fairness Daily Scrub is a mild scrub that gently exfoliates the dead cells and eliminates the impurities in the skin and renews it leaving the skin smooth and luminous. It also helps in removing the tan and giving the skin a brightening effect.